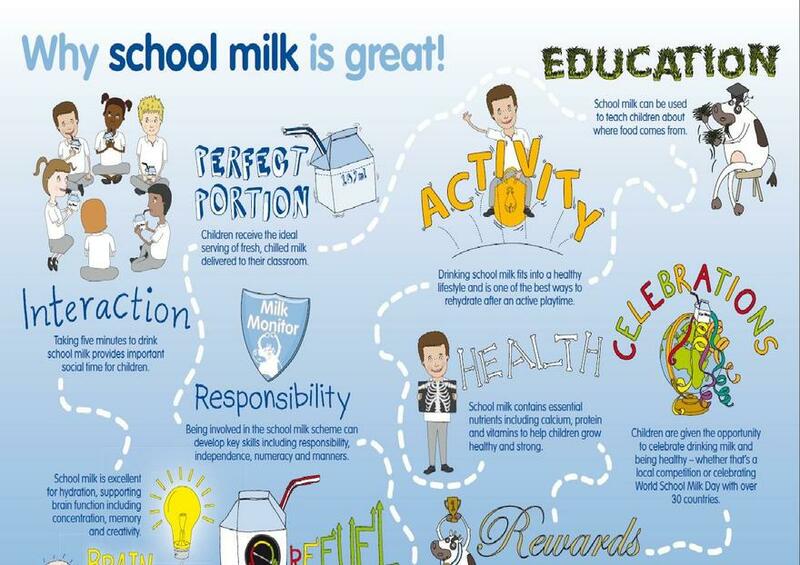 School milk is provided by Cool Milk and is excellent as a mid-morning drink. It provides a nutritional boost and keeps children hydrated between breakfast and lunch, helping them to concentrate and learn. 1. Register your child online at https://www.coolmilk.com/register or pick up a registration form from reception and return it to FREEPOST COOL MILK (no other details required). 1. Register your child online at www.coolmilk.com/register or pick up a registration form from reception and return it to FREEPOST COOL MILK (no other details required). 2. Milk usually costs around just £15 a term. By registering online, you’ll be able to make a payment straightaway. If however, you return a registration form by post we will send you a payment request.